Today’s view from the path to Catbells down into the Newlands Valley. The wind was gusting and the path icy; without crampons we turned back and headed to the warmth of the pub. The trip was part of our testing the winter gear for our up an coming adventure to the Lofoten Islands in Northern Norway, just inside the arctic circle. 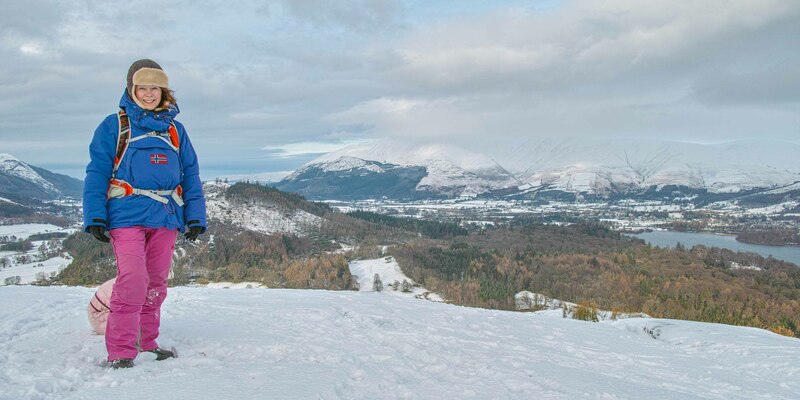 Polly is modelling her cold weather get up below, with Derwent Water, Skidaw & Keswick in the background. The clothing held up. It may not have been -10c but it was a solid test. My main worry now is whether the cameras will be able to handle the cold!